Established in 2002, the green power developer creates and manages renewable energy co-operatives – its proven track record also provides the expertise to make community ownership of green energy wind farm initiatives a reality in the 21st century. Harnessing renewable energy challenges the need for fossil fuel power generation, which releases harmful gases into the atmosphere. Climate change is firmly on the political agenda and Energy4All plays a significant role in tackling the targets for cutting emissions. Owned by the co-operatives it creates, the company runs on a not-for-profit basis as a social enterprise. Energy4All operates under the co-operative principles of ‘one member one vote’, a volunteer board that is elected by members and strong social ethics with a focus on supporting environmental and social goals. Baywind Co-op, the trailblazer for UK community ownership of renewable energy, has been producing clean green electricity and returning revenue to its investors since 1997. Energy4All was created to extend the highly successful asset-ownership model pioneered by Baywind. Projects include 100% community ownership, often initiated by landowners and community groups, through to commercial arrangements with developers to achieve proportional share ownership. Energy4All investigates options for regeneration in both rural and urban areas by advising and working with development agencies, local government and energy agencies. Having created renewable energy co-operatives, Energy4All’s continued involvement provides further evidence of its business acumen. Handling the share offer launch process, including the legal and financial approvals that this entails, and facilitating the successful promotion, which is crucial to the formation of robust co-operatives. Ultimately, the Energy4All renewable revolution will help to fight climate change with the support of its members. The company raises awareness of its strategy through its energy conservation trust, the hosting of visits and open days, presenting at exhibitions and speaking at conferences. The launch of the new website Energy4All Steps - forms part of this innovative, proactive approach. This informative website provides clear and practical guidance on the process of building wind energy projects, and will highlight future opportunities for community owned schemes. Energy4All is continually seeking new opportunities to build on its proven track record of providing ethical investment opportunities and a solution for green power generation. Project Profiles: Comprehensive case studies available on request. Baywind Co-op: Operated two share offers, the first of which raised £1.2m in 1996 to purchase two turbines at an existing wind farm. The second share offer paid for a turbine at a neighbouring site. The community interest generated by these projects provided the impetus for the creation of Energy4All. 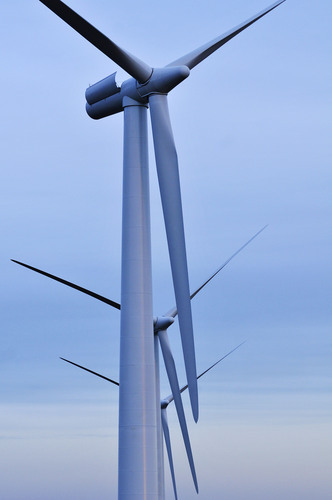 Fens Co-op: Two out of five wind turbines on an existing wind farm. Purchased by the Fens Co-op after successfully raising £2.66 million in the share offer, which closed earlier this year. Westmill Co-op: Five wind turbines have this month become operational in Oxfordshire. The project is 100% community owned and built with the assistance of Energy4All. The EU is legally bound to cut emissions by 8% against 1990 levels. The UK needs to cut its emissions by 12.5% to achieve this target. The Government has set a separate target to reduce carbon dioxide emissions by 20% below 1990 levels by 2010. The Government has a target to produce 12% of all UK electricity from renewable sources by 2010, equivalent to 10,000 megawatts of electricity - enough to supply 6.5 million households. Sources: International Energy Agency, The Environment Agency. This press release was distributed by ResponseSource Press Release Wire on behalf of Honey Public Relations in the following categories: Men's Interest, Women's Interest & Beauty, Environment & Nature, Farming & Animals, Construction & Property, for more information visit https://pressreleasewire.responsesource.com/about.